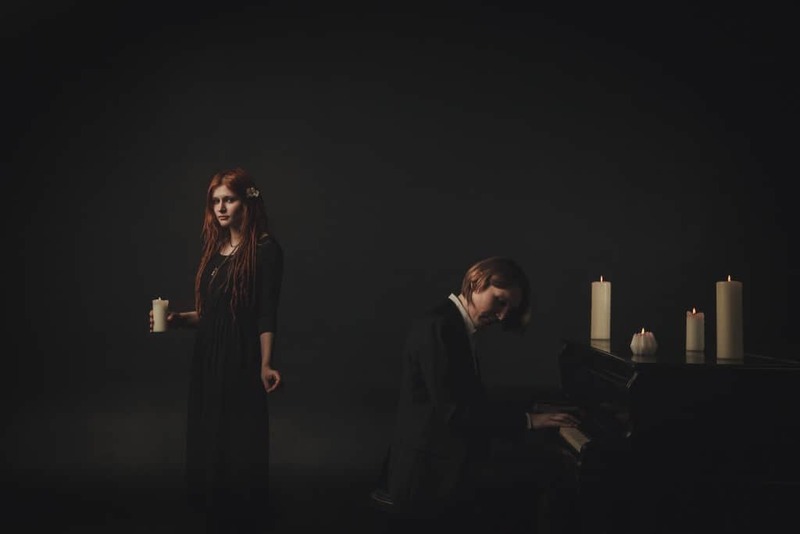 Russian progressive chamber duo iamthemorning has been a growing name over these years since the release of their debut album, entitled “~”, which blends chamber music with touches of progressive rock to create a beautiful atmosphere formed in majority by Gleb Kolyadin’s amazing piano work and Marjana Semkina’s astonishing vocals. Their sophomore record, “Belighted”, saw the band increasing its potential and audience. Lighthouse, their second KScope release, reaches new levels of sound and ambition to deliver a touching work of art. For this release, they’ve enlisted the help of Porcupine Tree’s musicians Colin Edwin (bass) and Gavin Harrison (drums), who add a whole new sound to the album that isn’t present in any of their other releases. Lighthouse is a concept album about an unnamed mental illness, and the main character’s struggle with it. Opener “I Came Before the Water (pt. I)” starts off things with Marjana’s heart-wrenching vocals telling us the actual situation of the protagonist before backtracking with “Too Many Years”, representing a momentary regress on her condition; and here is the first signal of the band’s progress on their sound. The track starts with a smooth mix between Marjana’s vocals and Gleb’s first melodies, only to evolve into an incredible orchestral piece. After “Clear Clearer”, a more relaxed track that keeps on with the character’s will to live, we commence to delve into deeper territory. “Sleeping Pills” shows a sudden twist of the melody that was played: the demons are coming back along with her condition. “Libretto Horror” breaks reality and sees a temporary dream-state with the first glimpses of doubt: “I don’t know what to do, where to go / I’m falling into void of afterglow”. What was once a voice trying to escape is now one that lacks hope, a message that is represented too in the instrumentation, which feels dark and demented. “Lighthouse” is the middle-point of the album and once again we see our character fighting with her own thoughts only to realize that her treatment and everything she’s doing is not working at all. “And all of a sudden, there’s nowhere to go / No one to follow and you’re on your own”. The chorus features Mariusz Duda from Riverside, another one of the high points of the album: Marjana’s frail voice, which is getting more and more desperate as the tracks progress, contrasts with Mariusz’s lower vocal range beautifully. Then comes the instrumental piece “Harmony”, where iamthemorning shows their true potential with its wide range of sounds, taking influences from the Canterbury scene, adding xylophones and a guitar solo. And so, we get to the ending, to where all this started. “I Came Before the Water (pt. II)”, sees the character giving up with Marjana’s last words, accompanied by a beautiful string section that makes the track more emotional than the first part of the song. However, the album ends with “Post Scriptum”, another instrumental that closes off the album with an open ending. It’s up to you to decide if the Lighthouse has turned off, or if its light is still dim, with glimpses of hope after all this journey. Overall, I can’t find any weak tracks on this album since the flow from one song to another is peerless and the musicianship from each of the members that recorded this album is excellent. Marjana’s voice morphs from frail to desperate while Gleb’s piano work follows her vocals and the mental condition of the protagonist, giving way for his dexterity to show an incredible mix of touching and frantic passages. The musicians brought to record the guitars, bass and drums, like I said at the beginning of the review, give another layer of atmosphere to the album along with the orchestral sections. 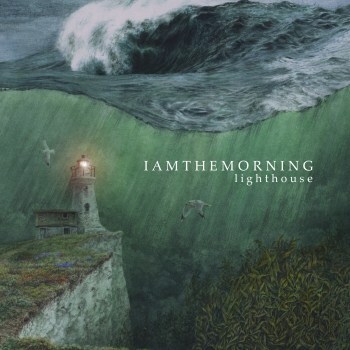 What might detract some listeners is the sudden change between their first two albums and this release; but apart from that, iamthemorning has delivered an emotional and unique piece of art that addresses a very powerful and serious issue that are depression and mental illnesses.